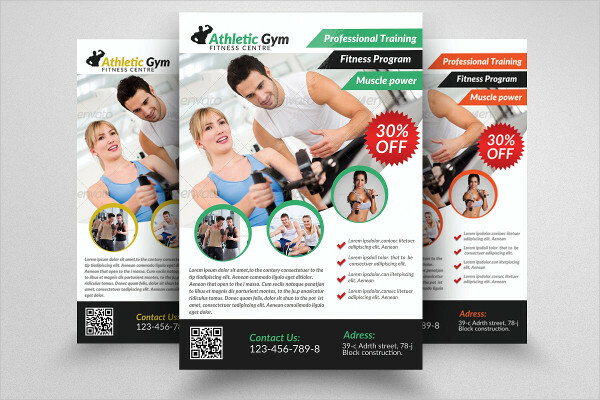 Fitness flyers are the best thing to have when you are running a fitness center. 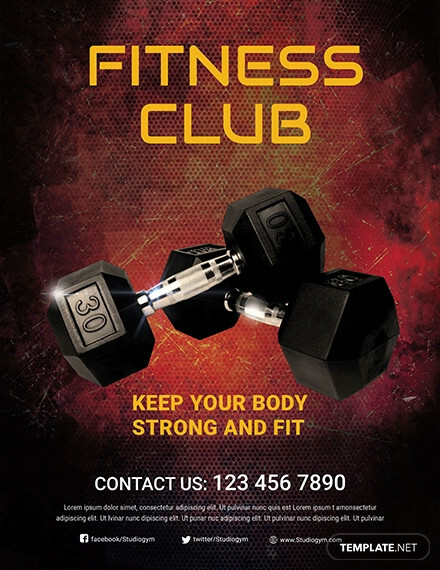 It is the most creative and exciting way to let people know that you are up to and operating a fitness center or a gym. 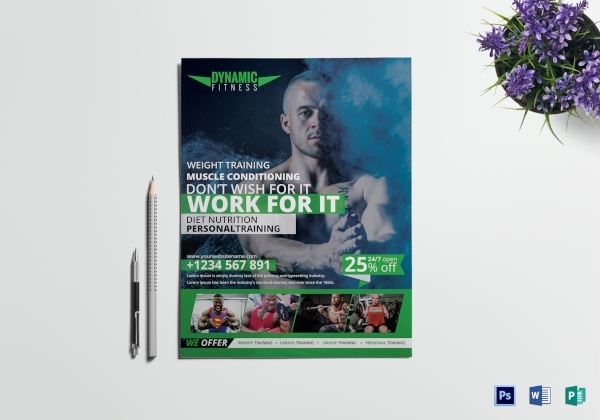 Fitness flyer helps gym owners reach the maximum number of clients.However, designing a fitness flyer is just like designing a photography flyer, it’s not that easy. You will need a particular skill in order for you to create one. 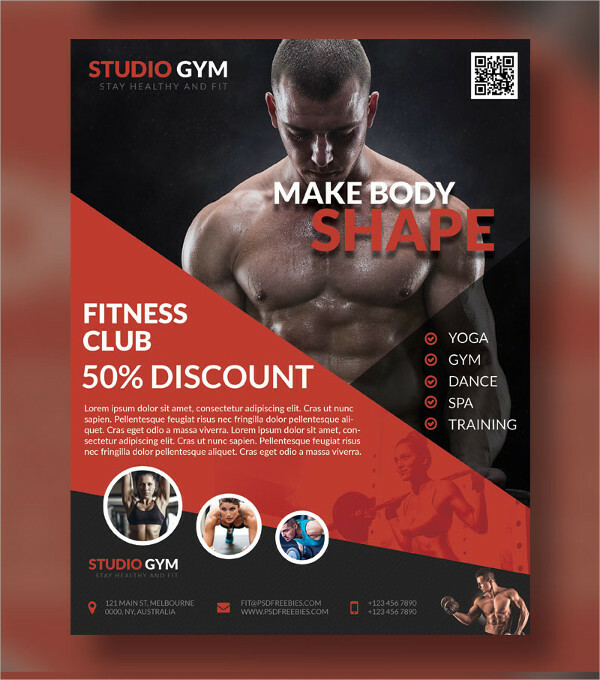 So, give yourself a hassle-free time by downloading our collection of awesome and attractive fitness flyer templates that you can easily customize according to your preferences and desire. 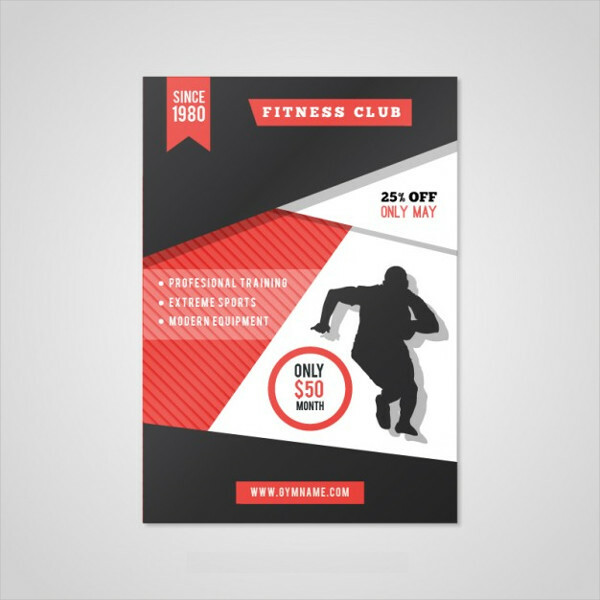 A promotional material that has a picture of people in the gym working out, flexing those muscle and showing off their good-looking physique in an intense and immersive surrounding, partnered with a side-by-side text of the gym discounts and promos is what you called a fitness flyer. 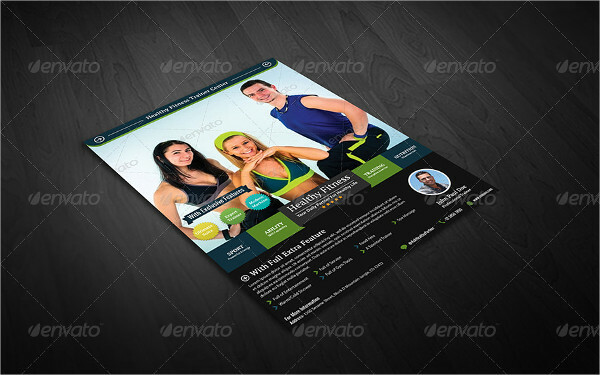 It is basically a creative marketing plan to attract clients to work out in their fitness center. When your fitness center is new in town, you don’t usually get a lot of clients on the first day, not unless if your fitness center is so popular that wherever your new location is, it automatically gets filled with customers. 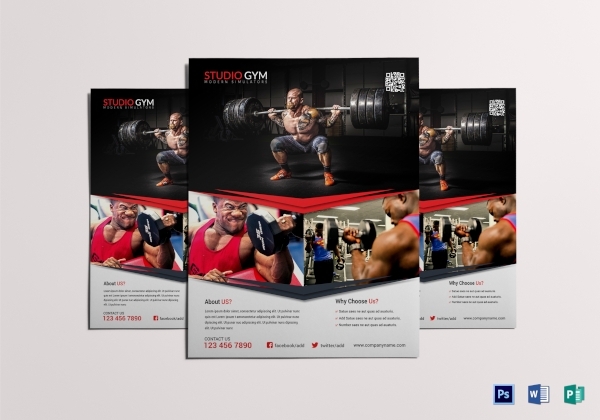 Social media marketing or TV and radio advertising is one of the ways to get the attentions of the potential clients but still, nothing beats a creative and amazing fitness flyers. 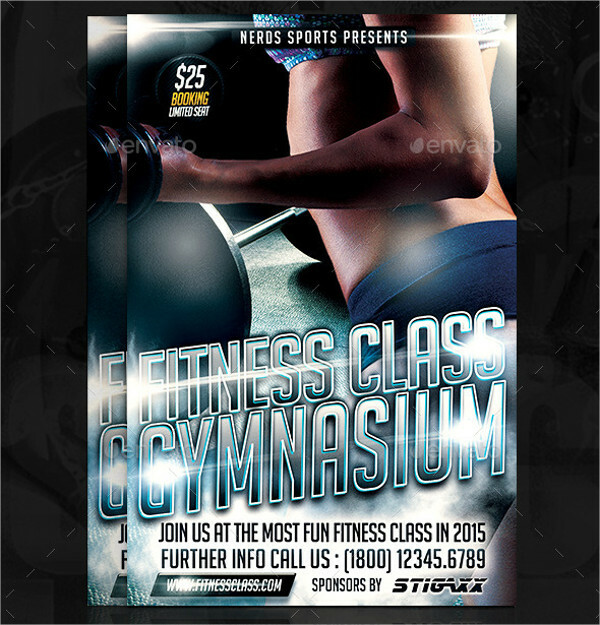 Fitness flyer examples is still the best marketing strategy when running a fitness center. It’s cheaper than the other marketing strategic plan. You can simply create one on your computer and have it printed right away. There’s no need for you to pay a big amount of money just to have an advertising space or get your fitness center be featured on TV or radio. Fitness flyer has a high return on investments. You don’t have to put in too much work. You can easily distribute this to the people who might want it or is interested, you can hang or display this to the places that have a lot of potential clients or you can just email this to everyone with just one click. It’s eye-catching advertising. With the creative use of colors and people working out within the flyer, posted right at eye level, who wouldn’t stop and take a look at it, right? People would probably notice it and read it. 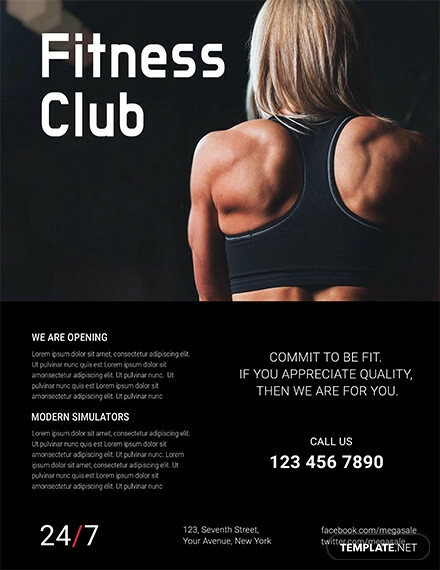 It’s a good way to make your very own design of fitness flyer, you can customize it according to your preferences, you can design it with the likes of your fitness center or you can create it with whatever you like. 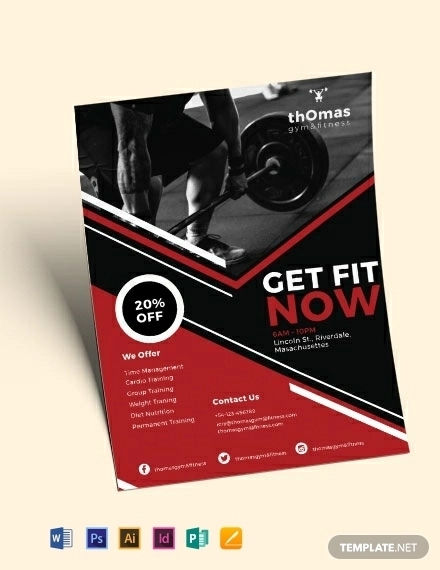 But then again, there’s no shortcut to everything, even designing a fitness advertising flyer. Luckily, everything has it’s own steps and/or guidelines. So if you want to do it yourself, take these simple guidelines and steps to get you started. Keep in mind that these doesn’t necessarily need to be in your fitness flyers. Incorporate your fitness center logo. Just like any corporate logo, a logo must not be disregarded in advertising your business especially when you are running a fitness center. 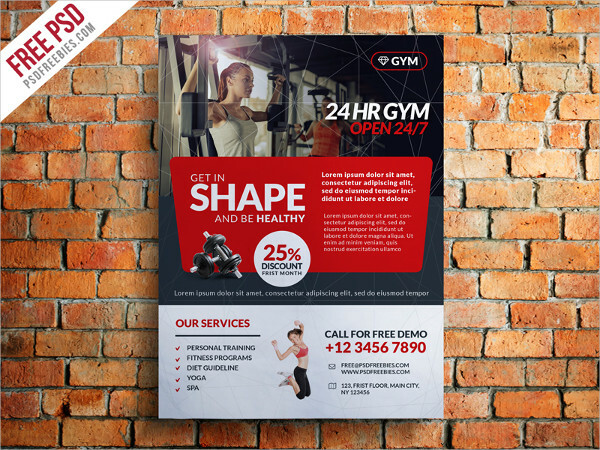 People needs something that they can easily recognize so that when people read your flyer and with your logo on it, they can easily identify your fitness center when the time comes. Include the name of your fitness center. 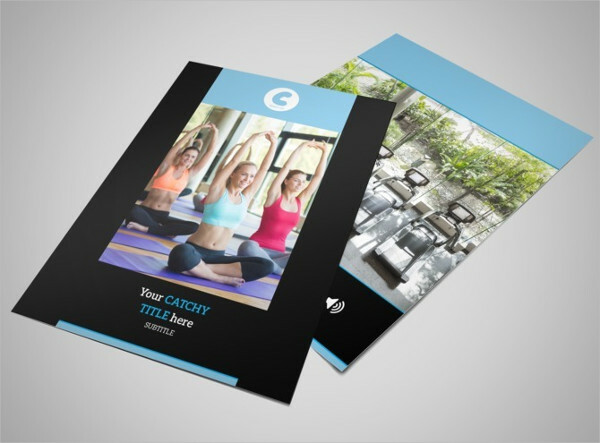 Of course, don’t just put only the logo in your fitness flyer, unless your logo is like a company logo that has the name of the company embedded on it, you also need put the name of your fitness center so that it’s easy for the potential client to remember it. 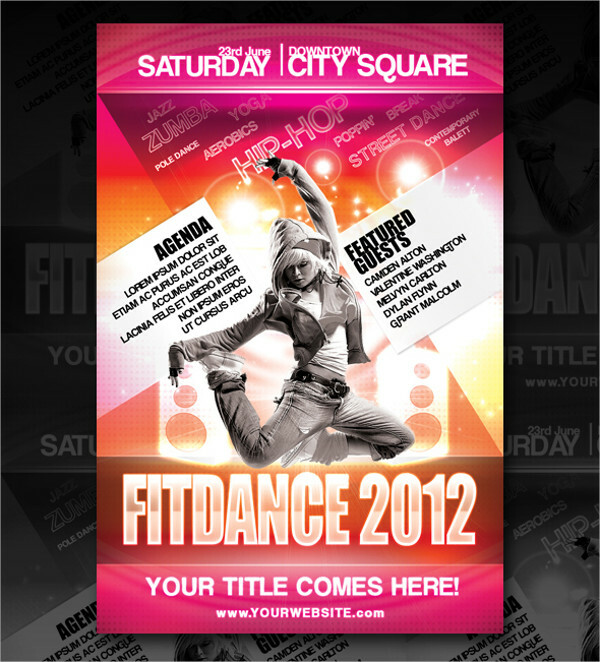 Consider the use of color and fonts in your fitness flyer. 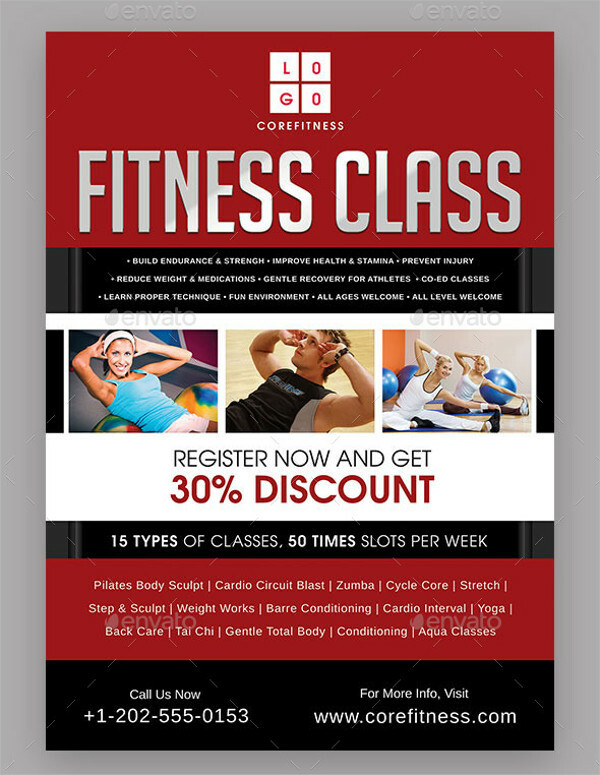 Color and fonts are essential in designing a fitness flyers, it is how you make your flyers eye-catching. Don’t put too much color that it is already painful to the eye to see, just limit the use of color to only 2-3 types of color. And make the fonts of the flyers readable. 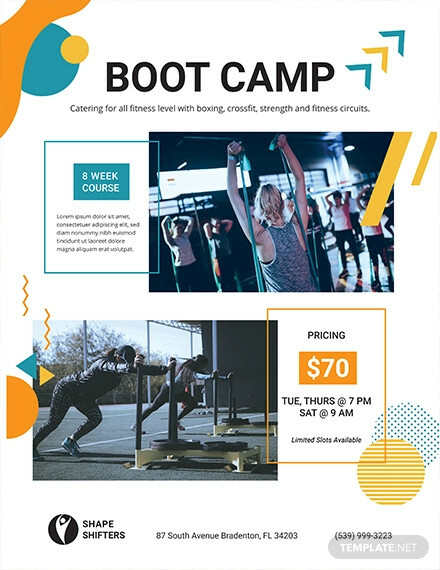 Pump up your fitness flyer by putting pictures of people working out. Either a dramatic picture of a guy lifting a dumbbell with his sweat all over his body or picture of a girl working out to achieve a bikini body. 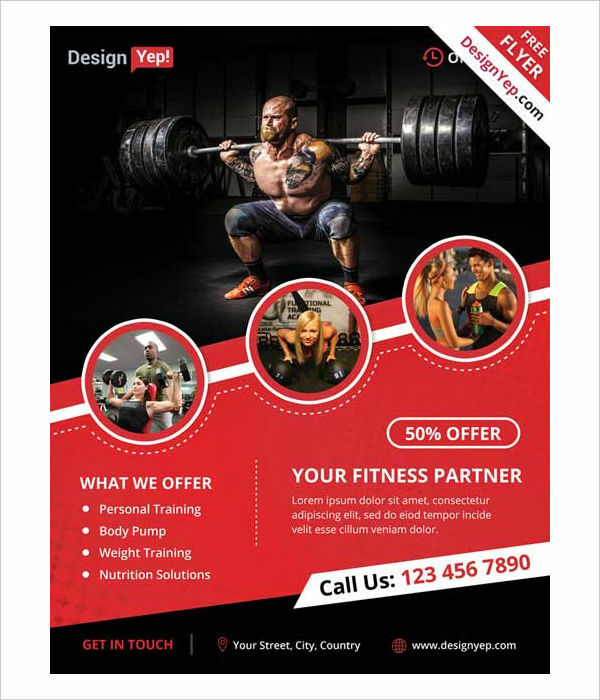 Don’t forget to put your gym rates, promos, and discounts. Make this more noticeable as this can help you to reach the maximum number of potential clients. 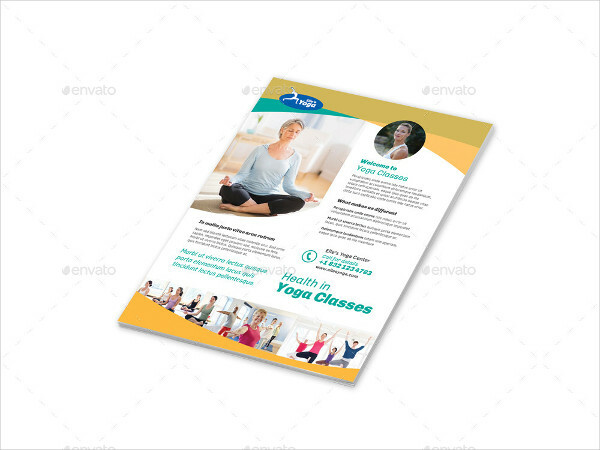 If you want to cut your effort by making your own fitness flyer, you can just give yourself a peace of mind by downloading our fitness flyers templates that you can use and customize it with whatever you like. 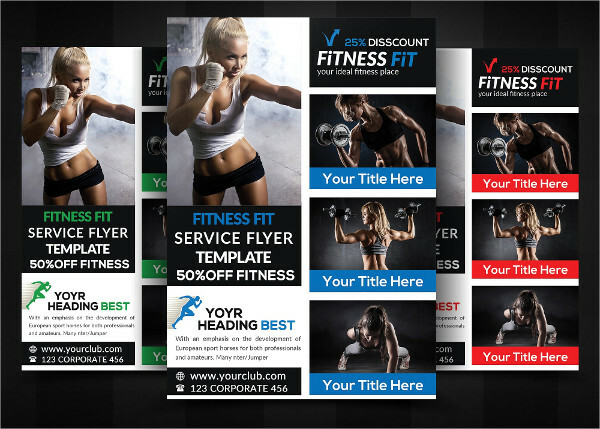 Here are the different designs of fitness flyers that are found in this article. 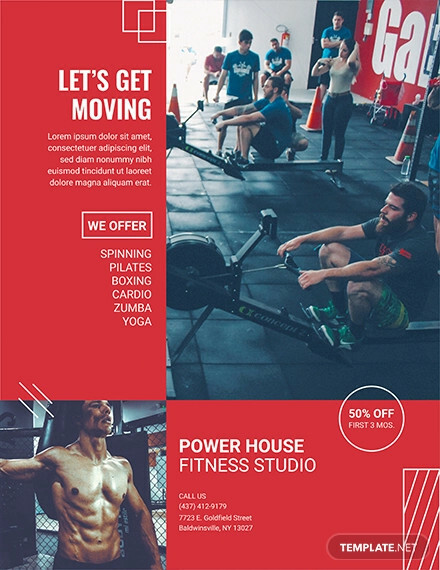 Fitness Sports Flyers – With guy lifting a heavy weight and three picture of individuals working out, this flyer has a simple design partnered with a combination of red and white color. This party flyer is also available in black and red, blue or green design. 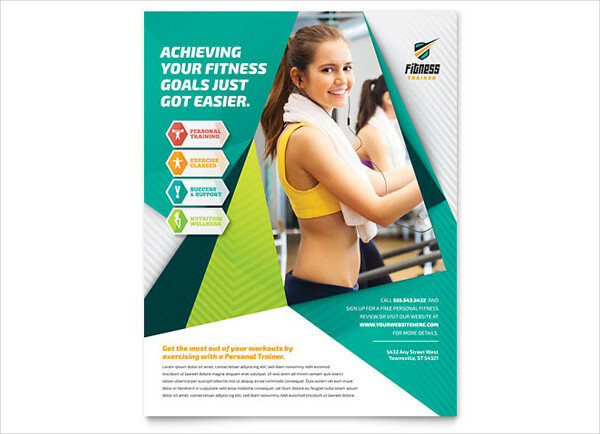 Fitness Gym Flyer – Available in three different colors, green, yellow and orange. This flyer has a colorful design with two individuals helping each other on their workout. 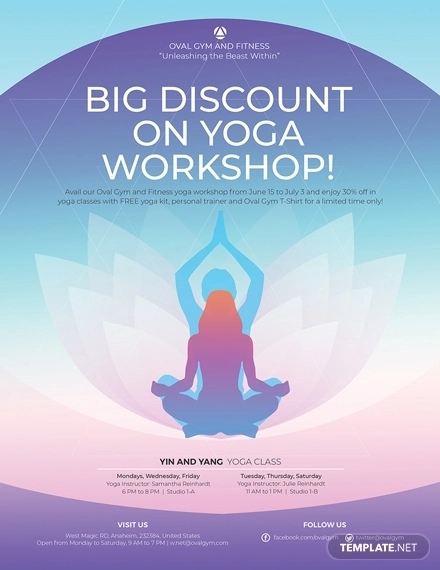 Fitness Yoga Flyers – This is not like any vintage poster that you see. This one has a simple design with different shades of orange on a white background. Also available in blue design with a woman doing a complex yoga pose. 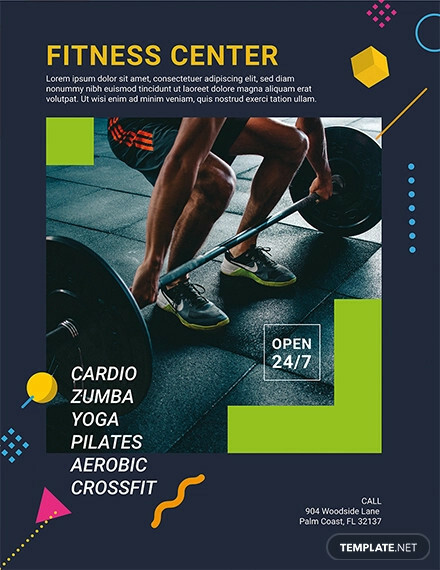 Abstract Fitness Flyers – This fitness flyer has a pleasing design with a white background and a few shades of black, blue, yellow, and green partnered with a gorgeous woman working out. 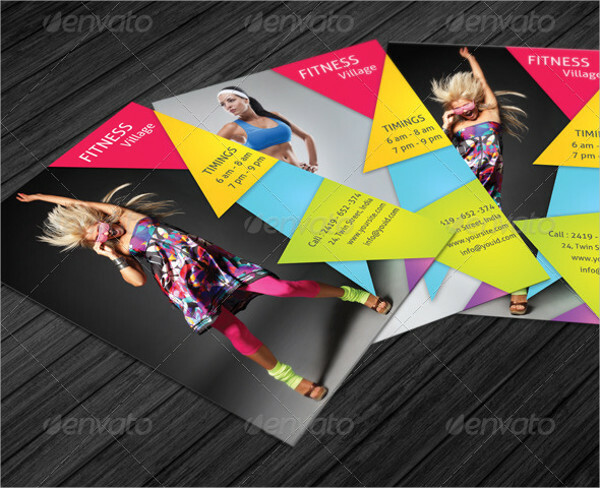 Fitness Active Flyer – An amazing combination of purple, orange, and white with dazzling effects is an apt choice. 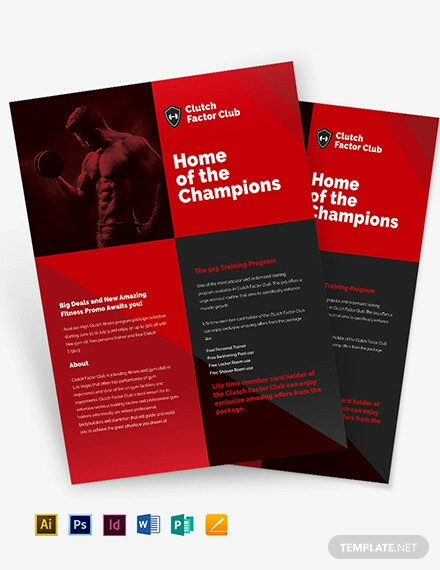 Fitness Marketing Flyer – This flyer has a unique design with a contrast of red and gray together with a black color for header and footer. 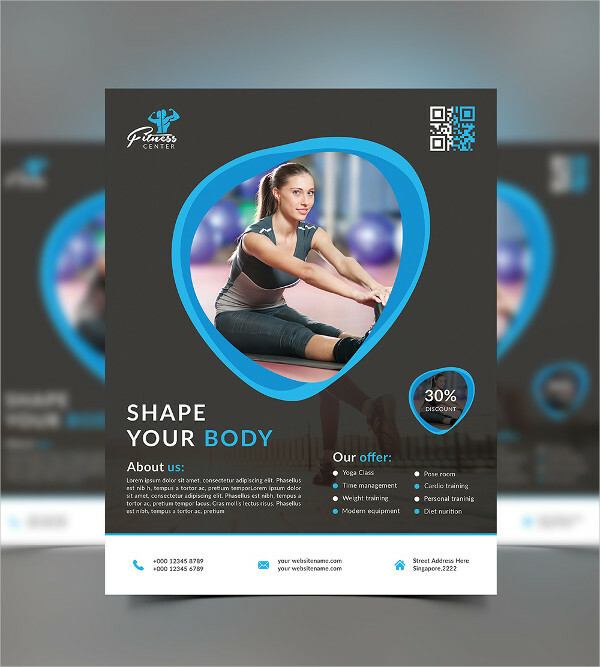 Fitness Trainer Flyer – A very simple fitness flyer with people doing some stretching and a picture of a gym in a light blue and black background. 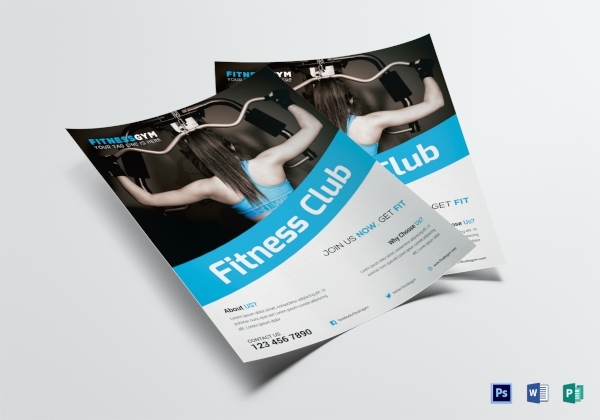 Modern Fitness Flyer – This flyer changes color from blue to yellow. How cool is that! Perfect for your modern gym. 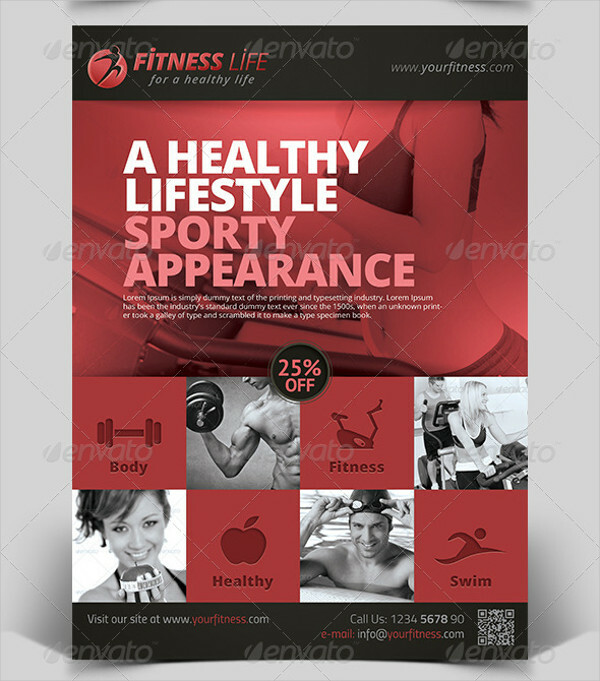 Fitness Class Flyers – Another combination of black, red and white with people happily working out is perfect for your gym. 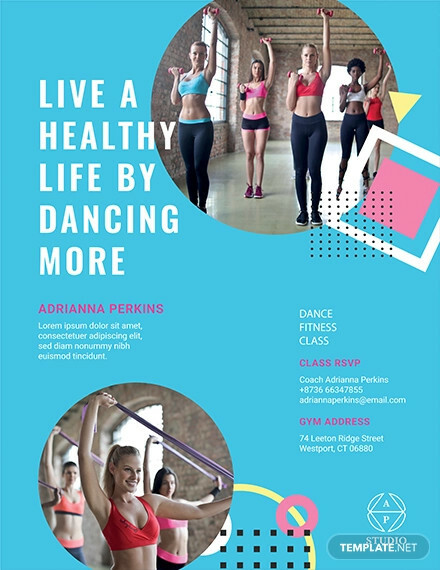 Dance Fitness Flyer – What better way to be fit than to dance. 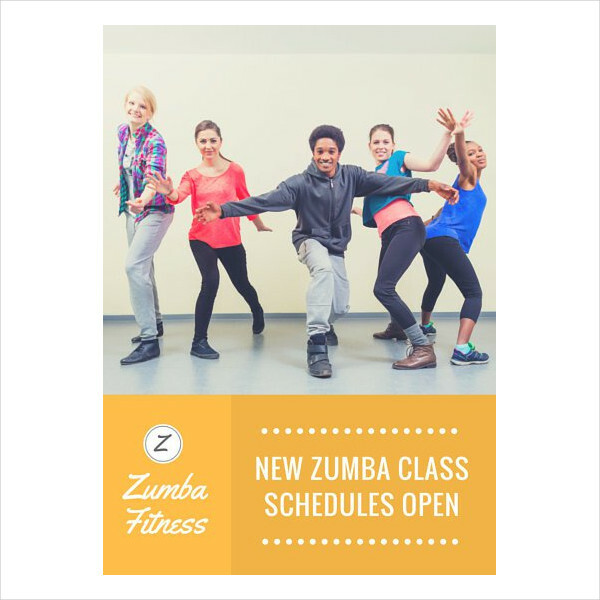 This invitation flyer includes pictures of individual people dancing hip-hop and Zumba. Healthy Fitness Flyers – With pictures of individuals posing to show off their bodies. This flyer is at it’s simplicity. 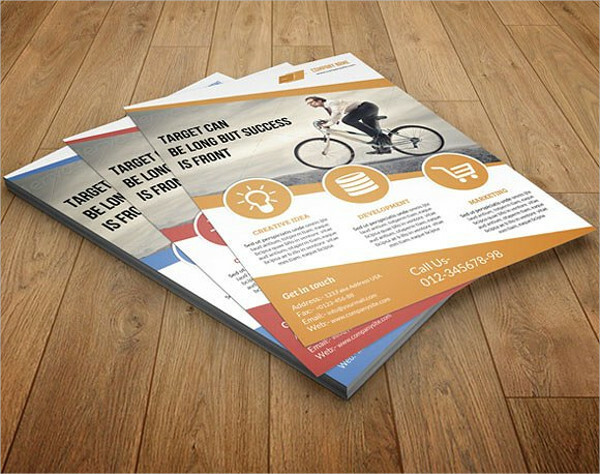 Corporate Fitness Flyers – If you want to go classy, like business flyer kind of style, this is perfect for you. With a professional shade of yellow, red, and blue.